Thank you to http://www.wathakker.info for the picture. 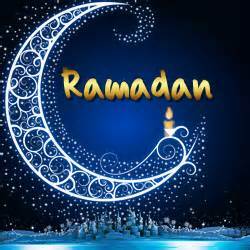 For Muslims worldwide, Ramadan, a time for prayer and fasting during daylight hours, began on June 28th and continues until July 27th. The first time I ever heard of Ramadan was about twenty-four years ago when a group of alarmed 2nd graders were full of the news that Shahrinan didn’t bring a lunch to school that day. Rather alarmed myself, I went down the table to see for myself. True enough, Shahrinan had brought nothing for lunch but a big grin on his face. He tried to explain that he was fasting, but I was at a loss at how someone could not eat for an entire month. Later, I learned that it was during daylight hours–they would eat at night. A booklet, written by a project called “Thirty Days of Prayer” (www.30DaysPrayer.com) says that there are 3,480,000 Muslims in North America as of 2010. My own school sees greater numbers of Muslim students seemingly every week! Many are new immigrants from places like Iran, South Asia, and Africa, and some are so new that they don’t speak any English yet. Even though we aren’t in school right now, I’ve been thinking of these students off and on during Ramadan. The cultural gap seems so wide, that I wonder how we can ever bridge it, even when we’re all in the same physical space 180 days a year. The prayer booklet talks about praying for Muslims especially during Ramadan, because there is someone who can bridge the cultural gap in ways we could barely hope to imagine: Jesus. During Ramadan, Muslims pray deliberately to gain spiritual truth, and there is story after story of Jesus appearing to Muslims during Ramadan in visions and dreams. That reminded me of a testimony I read this winter in Christianity Today of a young Muslim man, very bright, who came from a very proud line of evangelistic Muslims from the line of Mohammed. After several years of investigating Christianity, it was visions and dreams that convinced him that Jesus was real. This young man, Nabeel Qureshi, now the author of Seeking Allah, Finding Jesus, A Devout Muslim’s Journey to Christ (published by Zondervan), talks about a Christian friend in college who wasn’t afraid of his questions and confrontations regarding Christianity, and who eventually challenged him to put Islam through the same questions and critiques. The result was not at all what Qureshi expected–or wanted–to find, and, in his first year of medical school, he began pleading with God to show him who he really is. He recounts a vision and two dreams, followed by significant passages of the Bible that directly addressed his panicky questions, and the result was, for him, a devastating decision that Jesus is God and that he needed to follow him, no matter what. His family was crushed, and Qureshi acknowledges that “For Muslims, following the gospel is more than a call to prayer. It is a call to die.” In this mode of suffering, he turned to Jesus and says that it was there that he found him. “To follow him is worth giving up everything,” he says. Wow. One friend of mine thought she might have to give up an engagement when she confessed to her fiance that she had become a Christian, but not many (okay, none) of my friends and family have had to literally give up everything they knew to follow Christ. It is awe-inspiritng to think how much Jesus doesn’t want “any to perish” and how he has the authority and power to even break through culture, tradition, dreams, and family ties to show even one person who wants to know, who he really is. Will you pray with me for my students, and all of our Muslim neighbors (all 3,480,000 of them who live in North America), that Ramadan will be a time to draw ever closer to the One who made them and loves them most of all? Thank you. This entry was posted in Faith, Holidays and tagged Christianity, Nabeel Qureshi, Ramadan. Bookmark the permalink.